Award-winning singer, writer and actress Hazel O’Connor has announced a thirteen-date UK tour, calling in at The Apex on 1 December. Hazel O’Connor became an overnight sensation after her BAFTA nominated portrayal of Kate in the 1980 smash hit film Breaking Glass. During this period, Hazel released three of her most successful albums; ‘Breaking Glass’, ‘Sons and Lovers’ and ‘Cover Plus’, which produced a stream of top ten hits, including the iconic ‘Will You’, ‘Eighth Day’ and ‘D’Days’. Hazel is back with her full band and will be joined on stage by her brother Neil O’Connor for the first time in since their 2 week residency at Ronnie Scott’s back in 1984. Neil played original guitars on the ‘Sons and Lovers’ and ‘Cover Plus’ album and enjoyed his own success as the front man of the punk band The Flys. Hazel is joined on stage with a 5 piece band including Clare Hirst on Sax and Sarah Fisher on Keys. Hazel O’Connor & her band play The Apex on Friday 1 December at 8pm. 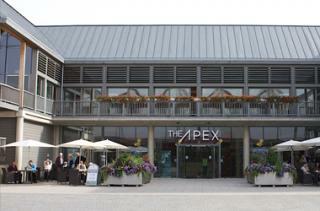 Tickets are standing £20, or £25 seated, contact the Box Office on 01284 758000 or see the website www.theapex.co.uk for more details or to book.